Yesterday I went back from L.A. to Jenna and Braden’s in Indio. We didn’t depart for Montrose. Then today, in the morning, we departed. We drove across the Mojave Desert, taking a non-interstate highway shortcut between Indio and I-15 just south of Primm, Nevada. 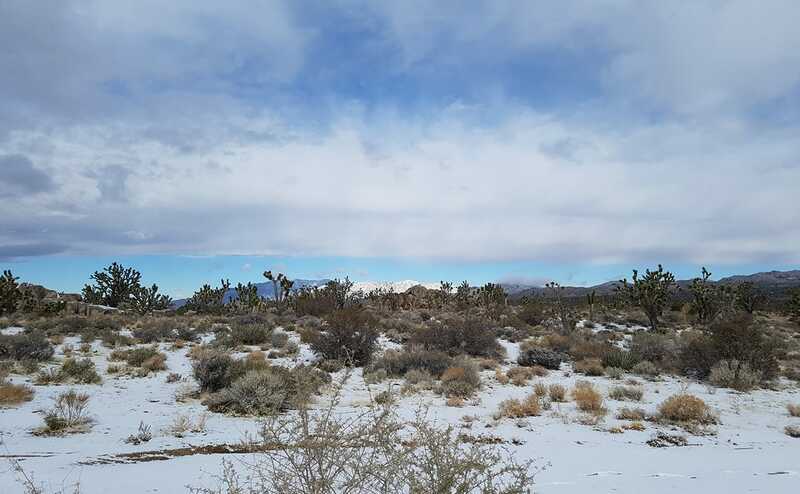 There was snow falling in the high desert. 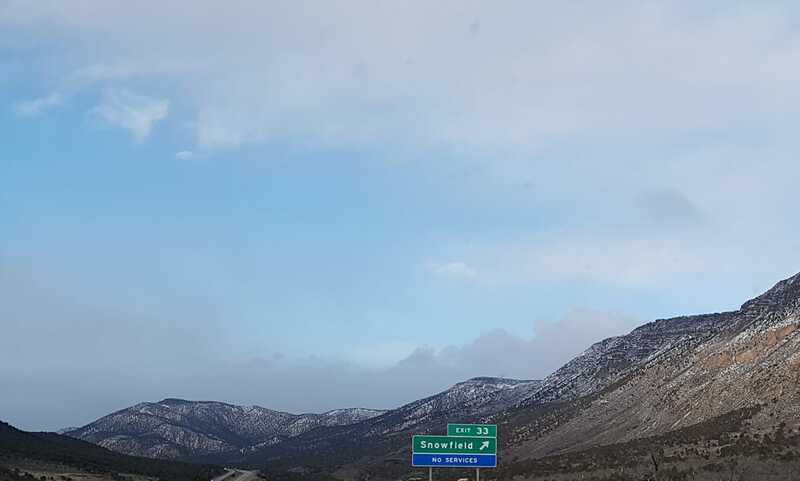 Later we had lunch in Las Vegas, and we drove north on I-15. It went from 50 degrees (10C) in Las Vegas to 15 degrees (-10C) where we stopped for the evening in a motel. Much colder. 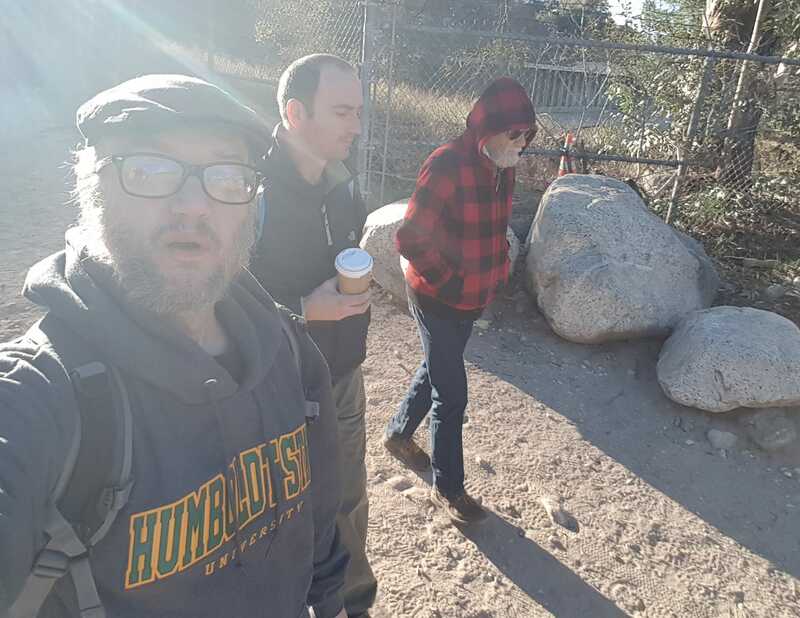 This morning, my dad, my brother and I went on a hike up the Arroyo Seco canyon, which stretches up into the San Gabriel mountains above Pasadena from the NASA-JPL campus on the north western end of the city. Here we are, setting out. A rather low-quality selfie. I’m looking pretty scraggly, these days: my new Alaskan look, I guess. 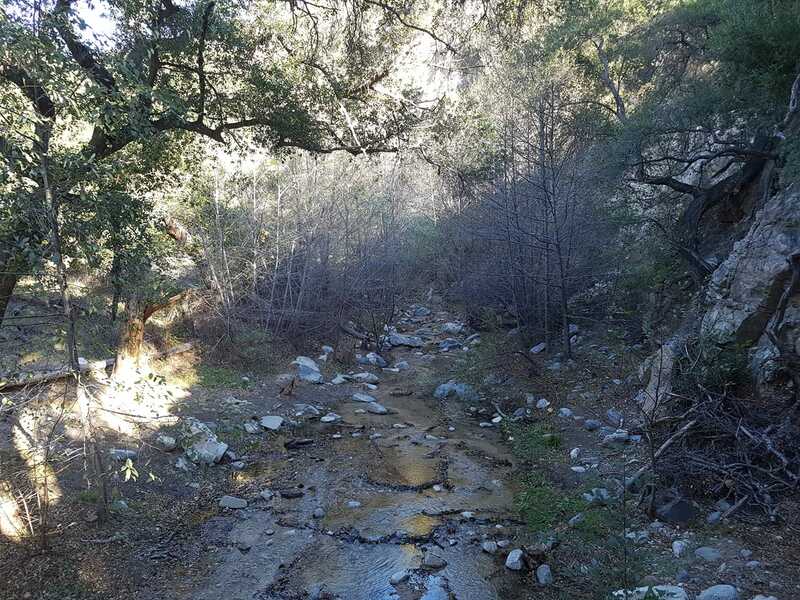 Here are some pictures from along the trail. 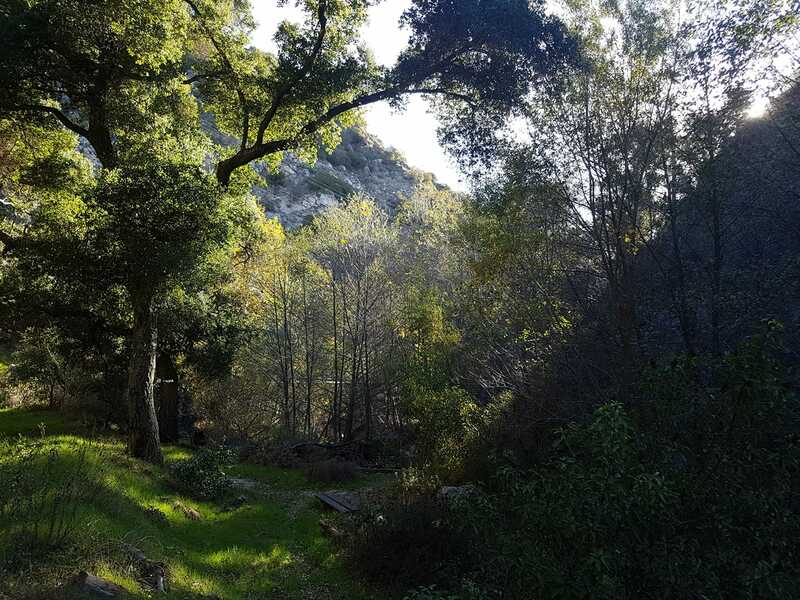 We hiked about 6 miles, up and back down. Later, we met James and Leia and we had a brunch at the Red Hen Cafe, a somewhat historic location in Altadena. In the afternoon, I walked around Pasadena some. I like Pasadena. I lived here for about half a year, in 1992. But it was my dad’s birthtown, and where my grandparents lived when I was small, so we visited here often. 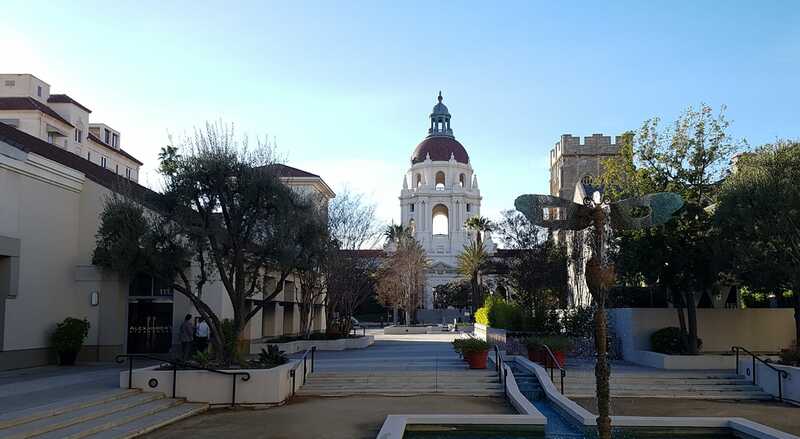 Here is Pasadena’s iconic city hall. See, I went to bed rather early. So I woke up at five thirty. My dad has only decaf. I stepped outside and walked. We spent some part of the day working on the Model A, some more. Trying to solve an oil-burning problem. And my brother Andrew manufactured ad hoc brackets to hold some non-standard modifications in place – an altered throttle lever, a non-standard alternator. For dinner, my dad and I met with his friend Fidel and his family at a Thai restaurant up the street here in Pasadena. 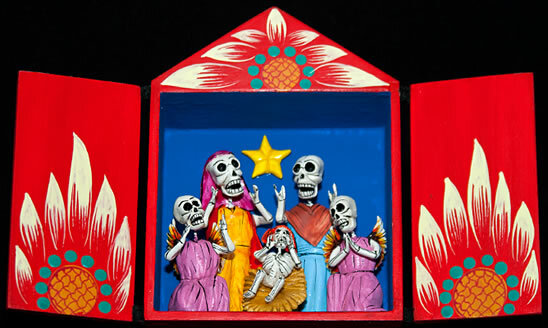 I really like Fidel and his family. For some reason, Fidel brought an exaggerated Mexican-style hat (which doesn’t even make sense – he’s Salvadorean) and gave it to my dad. But he wore the hat for this photo. Well, I’m visiting in the gran metrópolis, I was driving around and had the radio on. I drove out to L.A. from Indio. I arrived at my dad’s garage (adjacent to his old house – his current house is up in Pasadena, but he stills pays rent on the garage at the old place). 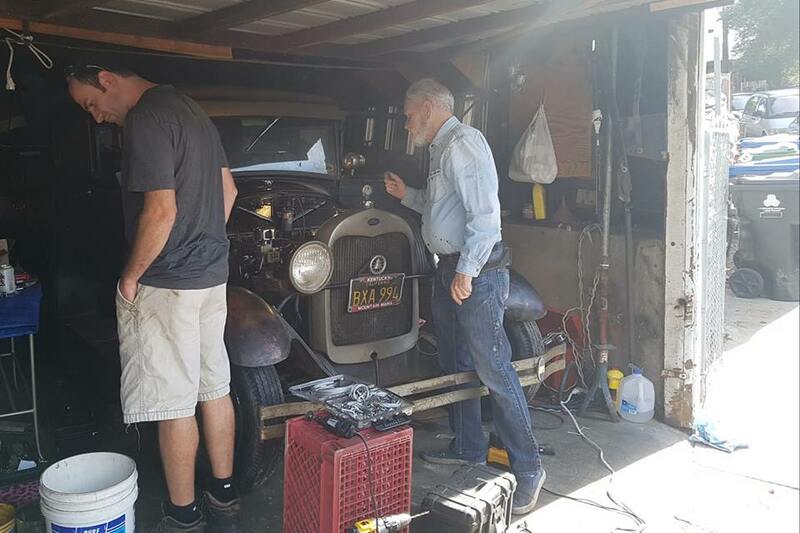 There, my dad and brother were working on the Model A. My father bought this car before I was born, in Kentucky. It was the first car I got to try to drive – I was maybe 12 or 13, and we were on some rural bit of road, I think up in Fieldbrook or McKinleyville (north of Arcata). My dad’s working on this car has been a kind of constant in my life. The last time it was running and drivable was 1998, maybe. Recently my dad has been working on it. The engine fired up and ran for a short time. There are some things that still need to be worked out – it seems be burning a lot of oil. 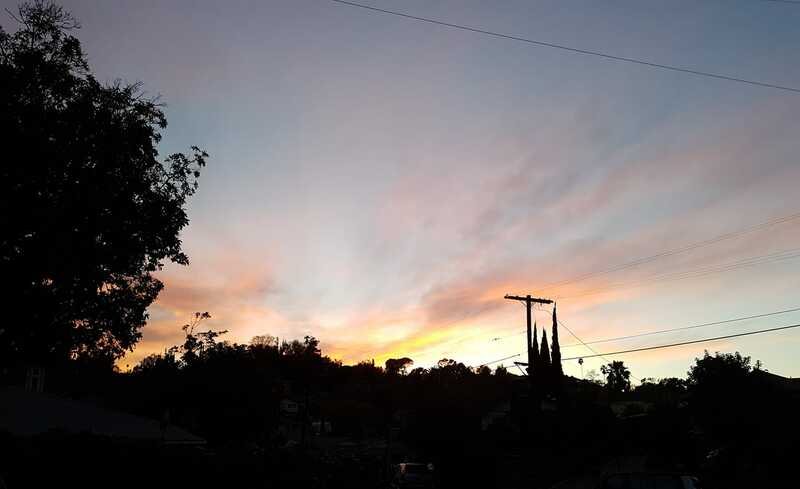 I saw the sun set in my old neighborhood, which is a striking memory of mine. 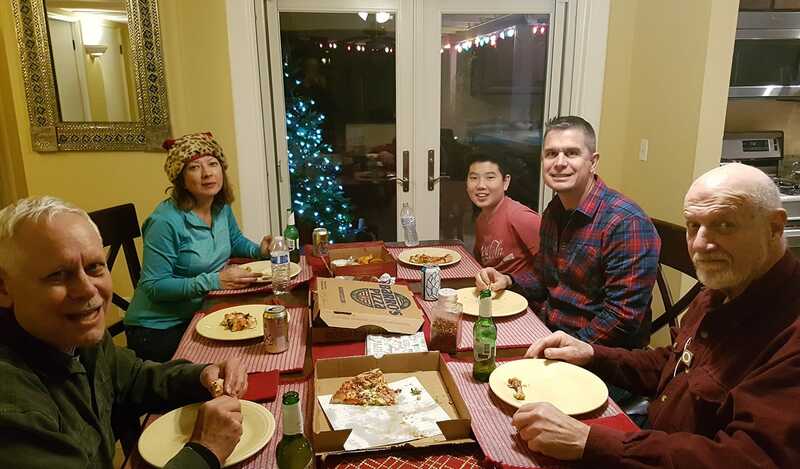 Later, we went to my brother’s place and had a fine dinner with him and his girlfriend Lilit and James and Leia. I’ll be meeting some friends tomorrow. … just sorta hanging out. 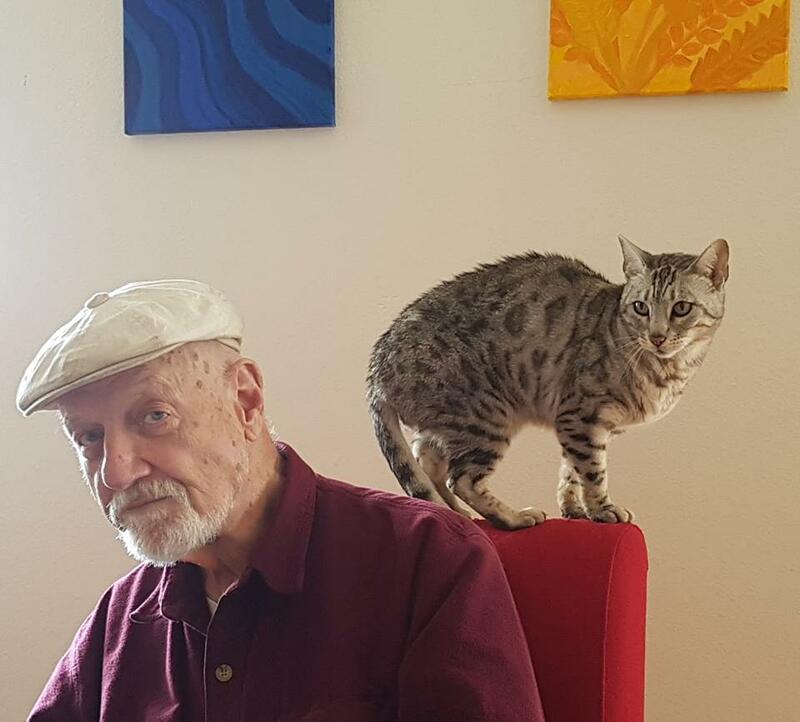 We left Phoenix and arrived at Jenna’s in Indio, California, around noon. It was nice to see everyone here. This is where we will spend Christmas. I took a picture of Arthur with a cat. 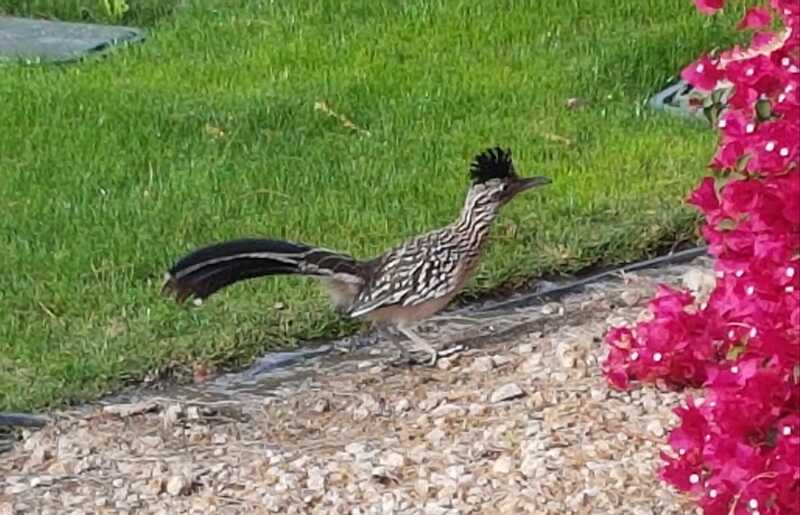 Juli and I took a walk (as we often do when we see each other) and I saw a roadrunner in park. 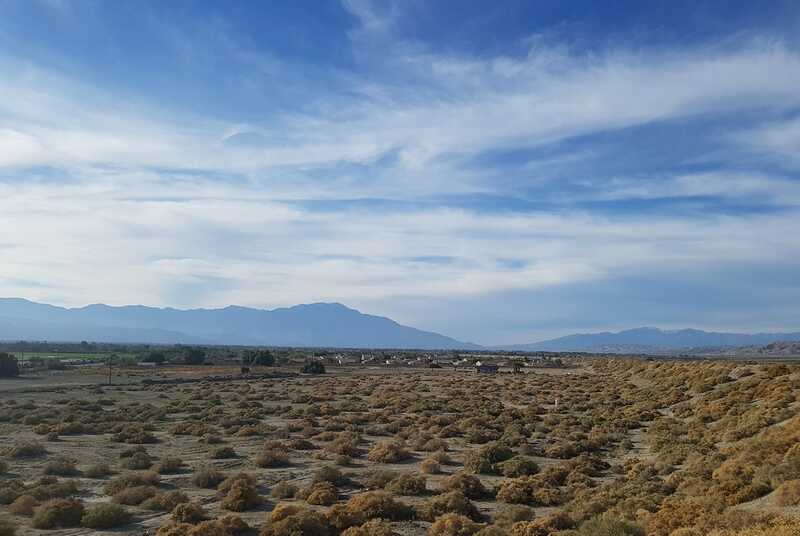 We walked up a hill and I took this picture of the Coachella Valley. 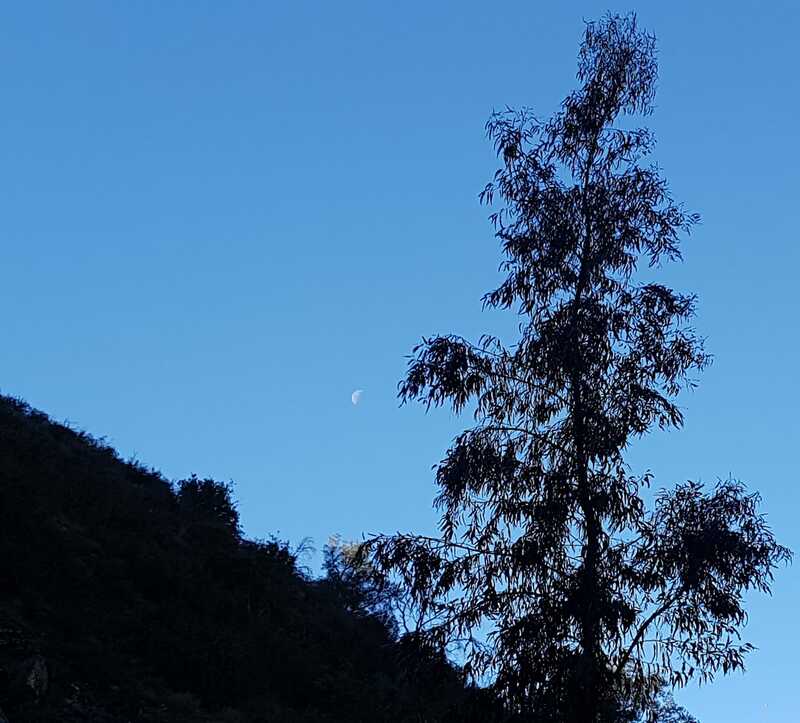 It’s notable that the valley is below sea level. 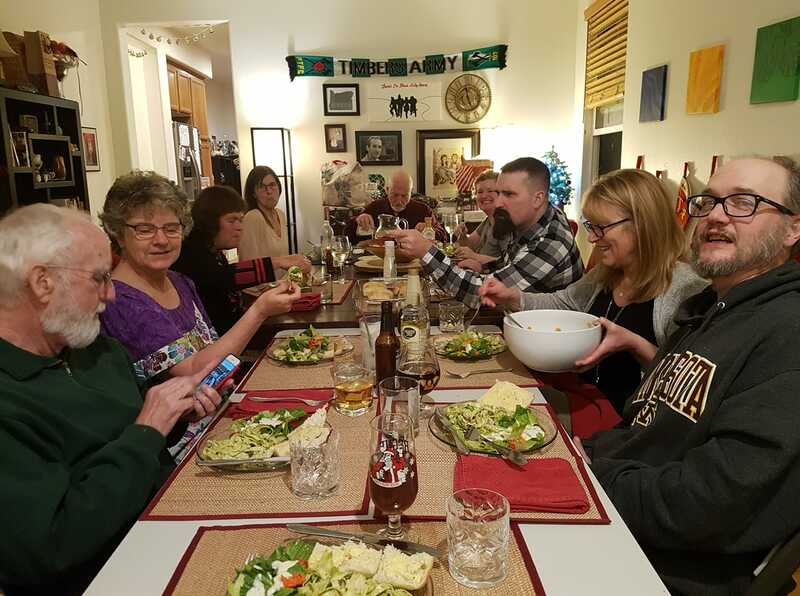 We had a big pasta dinner with everyone who is here. My sister had a giant Christmas cookie party today. I liked being there, and finally meeting (or meeting after such a long time) many of the friends she talks about. Plus, there were a lot of cookies. 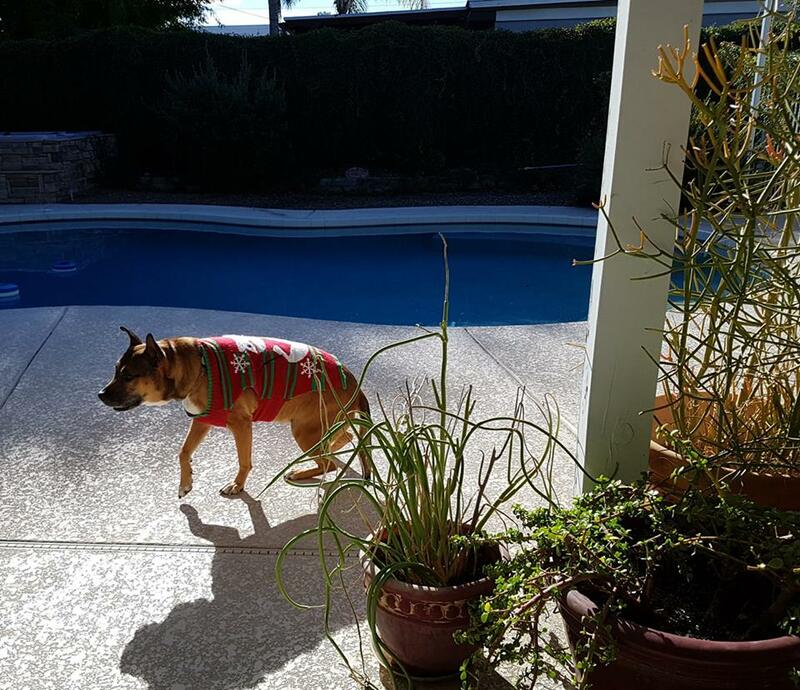 The Arizona lifestyle requires a backyard pool, and, perhaps, Christmas sweaters for the dogs. 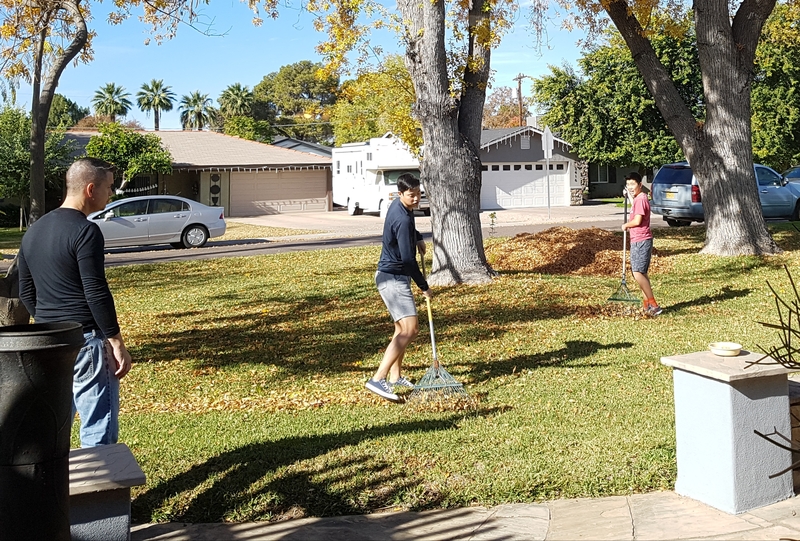 Earlier, my nephews Dylan and Jameson were put to work as slaves raking the lawn (because this is Phoenix, and the leaves are only now falling from the trees). Later, we went by a store where Jameson is working as a cashier. He is a very chill dude. 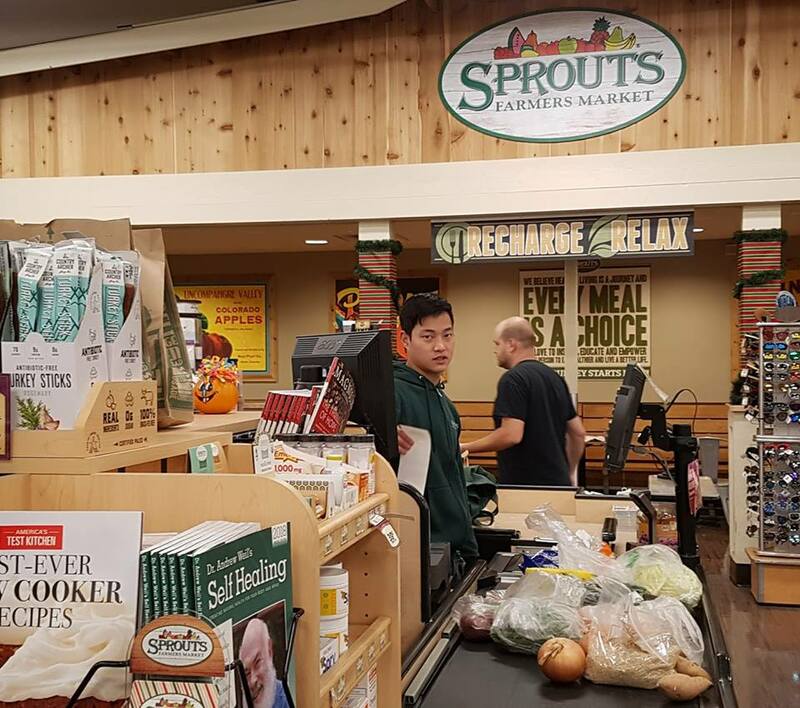 When I lived in Korea, it was hard to explain to kids that most teenagers get part-time jobs in the US, but it’s true – this is the proof. Personally, I think he could pretend to be a k-pop star and get away with it. We had pizza for dinner. Around the table counterclockwise you can see Mark (Todd’s brother), my sister in a santa hat, Dylan, Todd and, of course, the gruncle. Tomorrow, we drive to Indio.